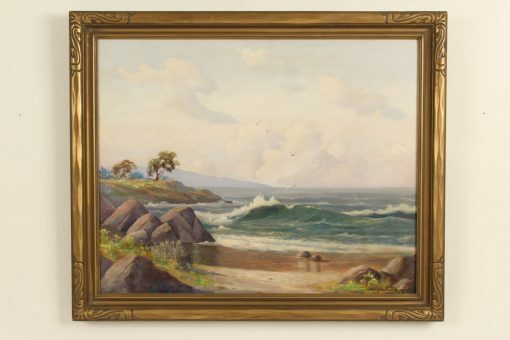 California coastal / seascape painting by California artist Oliver Glenn Barrett (1903-1970). Oil on canvas. Frame dimensions, height 28.5″ width 34″. Painting dimensions, height 23.5″ width 29.5″.